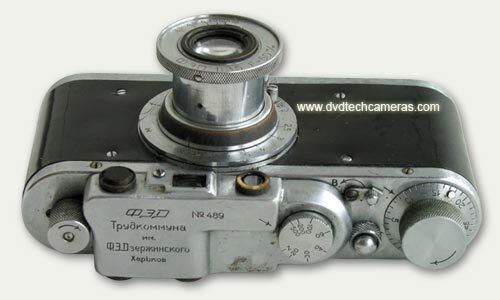 1- The handle of the shutter and rewinds of film up to № 25000 had a fine notch surely. 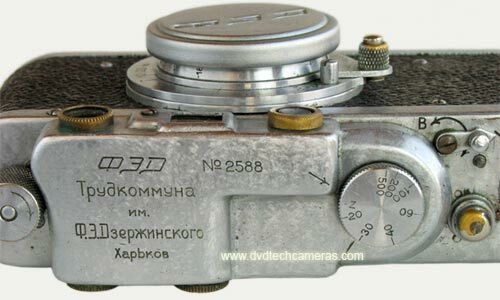 Cameras with numbers from 25000 up to 30000 sometimes had a large notch on handles. 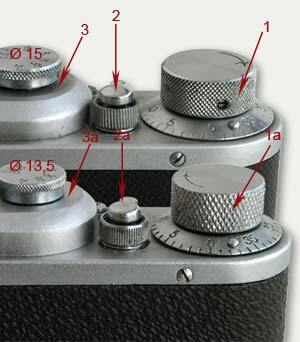 2- The button of release cannot guarantee camera model identification. Though early cameras had the form of a accurate drop. 3- The top cover with a trade mark has a deepening approximately up to 15000. 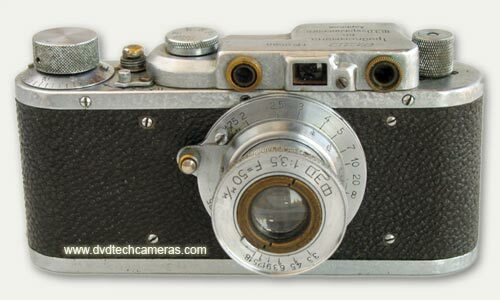 4- The early models of cameras had the 15mm diameter of head of endurances approximately up to 20000. 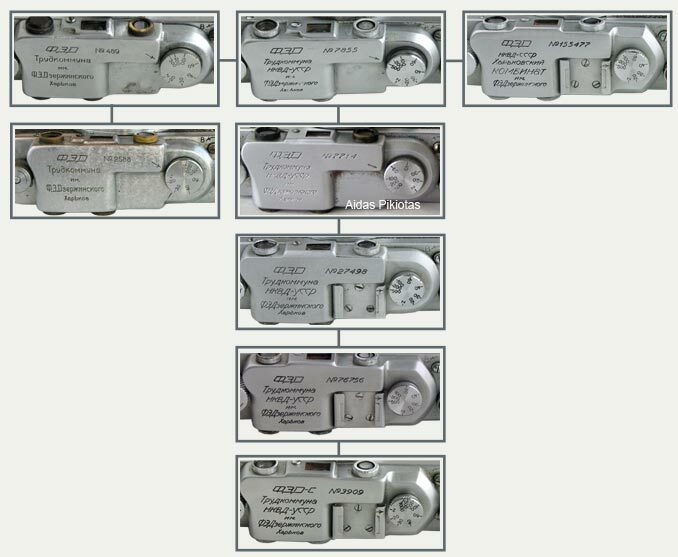 1- The early models FED have a window of a range finder similarly to cameras Leica approximately up to 8700 ?. 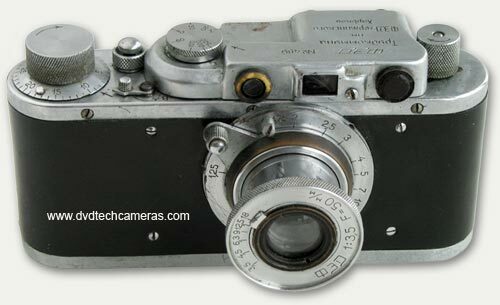 Exact copy of the Leica II except the lack of accessory shoe which is characteristic for the FED Type I and the early Type II cameras. With large speed dial. 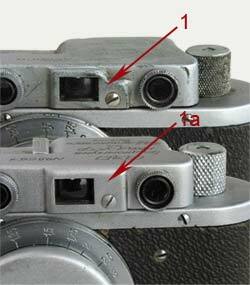 This type also has a small black circle in the middle of the back for adjusting the camera like on the Leica la. 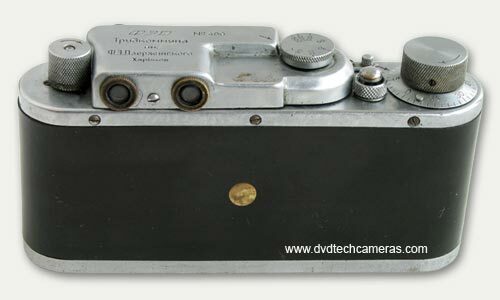 Early cameras bear marks of hand-finishing and unusual burnished finish on the plated brass or brushed chrome instead of black paint or chrome.